Cats are beautiful in the garden, but they can be downright dangerous in the kitchen garden. 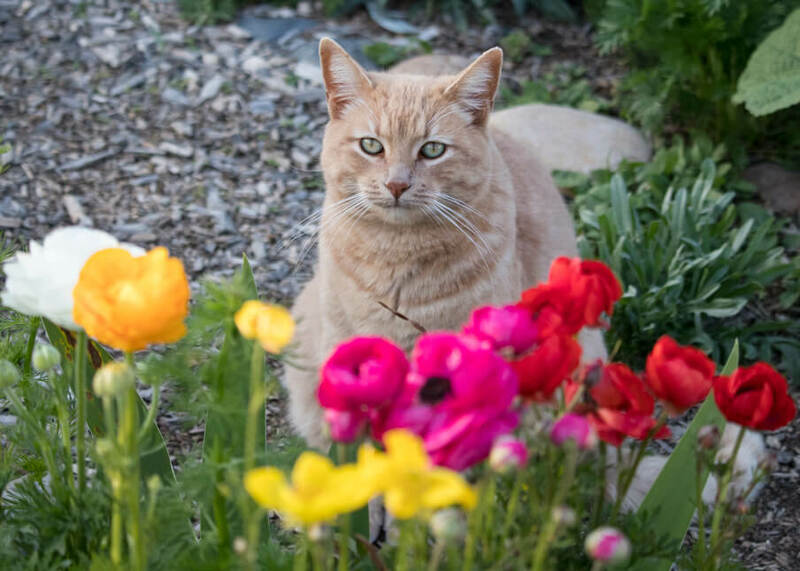 Especially with raised beds, it can be tempting for cats to use them as litter boxes.That’s unpleasant for the gardener, but also their feces can infect the soil with parasites, including one that causes toxoplasmosis. This disease can be particularly dangerous to those with a weakened immune system and for pregnant women. My garden includes 10+ roaming cats, so I’ve tried many things to keep them from digging into our veggie garden or just laying down in beds which smothers seedlings and/or breaks plants. Strong smelling additions to the garden can keep cats out of a bed because they always sniff before digging. 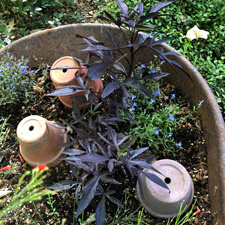 In my yard, my cats especially hate crushed red pepper flakes. However, all scent-based solutions are only temporary. I’ve heard that some gardeners use coffee grounds but my cats will dig in beds regardless of coffee grounds of any amount. Cats want an open space for digging. They typically won’t dig if there’s not enough room (like enough to lay down). So it can work well to simply scatter objects around plants. The area shown below has been scattered with wildflower seeds and branches placed over it. 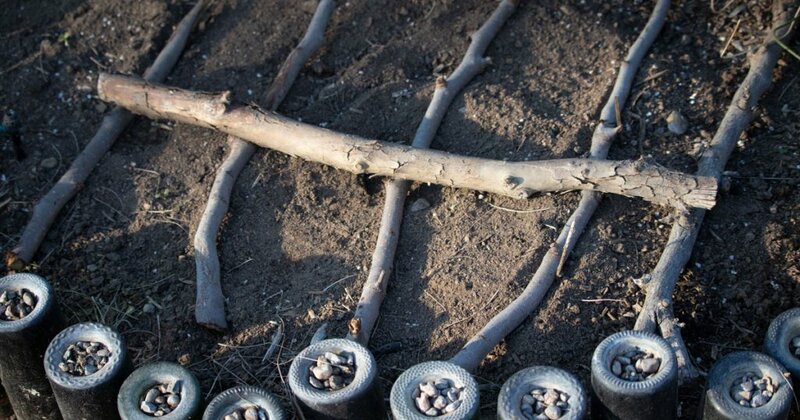 Besides the barriers below, I have also put in extra plants in a hop-scotch pattern because my cats don’t bother with densely planted beds. 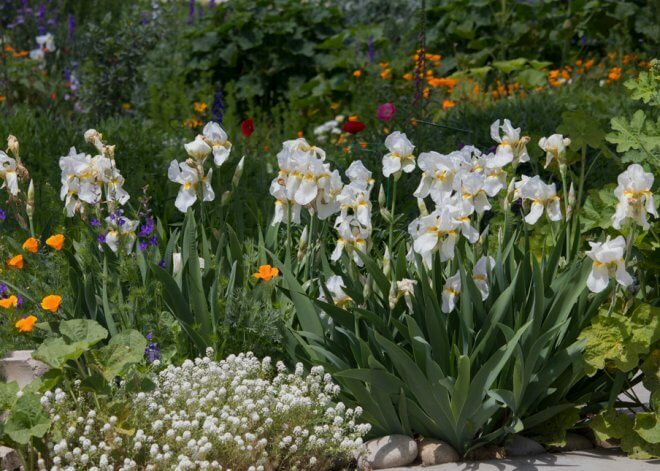 This works well in perennial beds that are getting established and there is lots of extra space. 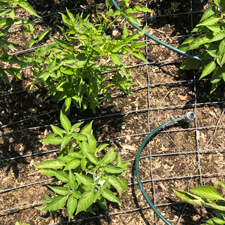 With livestock fencing or chicken wire, your plants can grow right through it. You can also pull out any weeds that also grow through the wire. Veggie bed covered with livestock fencing. Small pots placed in empty spaces. Plastic grid cut out of nursery flat. 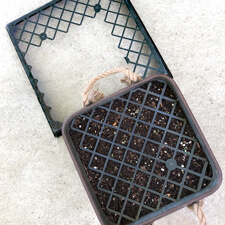 Grid will be removed when seedlings and bulbs emerge. Caution: Do not use mothballs. 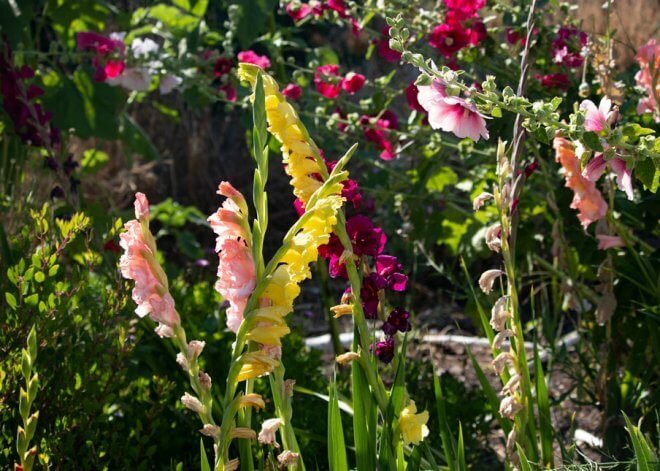 They are toxic to cats, other animals and people (really dangerous for young children in the garden). 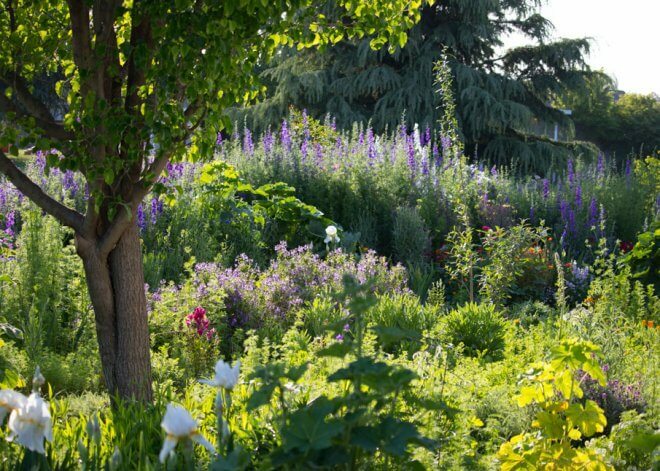 I hope these solutions work for your garden. If you have a solution that works for your cats, please be sure to comment below and share it.